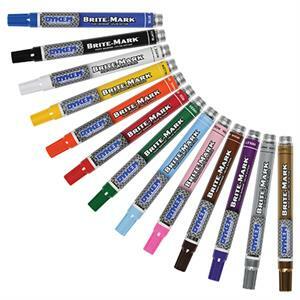 Dykem Brite Mark markers are xylene based for added performance. Exellent on all metals. Use Dykem Brite Mark Paint Markers on all metal surfaces. Brite Mark Paint Markers are also available in Fine and Jumbo tips.